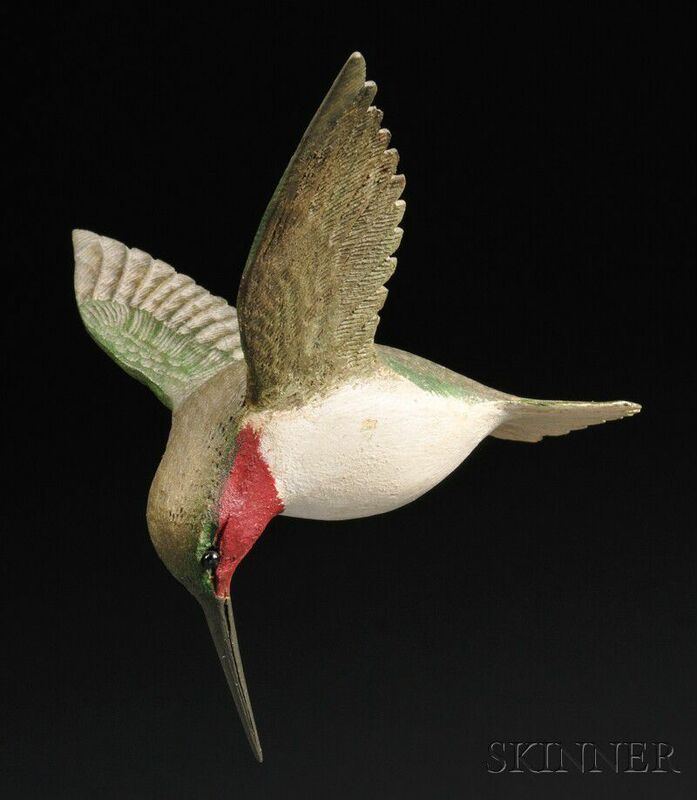 Carved and Painted Hummingbird in Flight Figure, America, late 20th century, the carved wooden bird with detailed feathers, dia. 5 in. 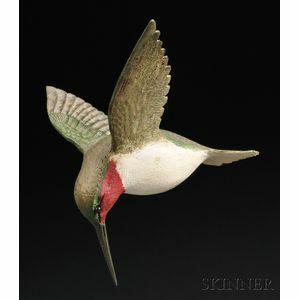 Provenance: Purchased from Ken Robb, Lebanon, New Hampshire.